iPad 3 set for March 7 announcement? Those Apple fans desperately seeking the launch of the iPad 3 tablet now have a date to pin their hopes on amid reports that the tablet will be unveiled on March 7. The prediction comes from Apple news site iMore, which says sources 'which have proved reliable in the past' have confirmed the date ahead of any official announcement from Cupertino. The report follows AllThingsD's assertion that the launch will take place some time during the first week of March before going on sale around a week later. iMore also backs up rumours of expected enhancements to the device, including a Retina Display, a quad-core A6 processor and possible 4G LTE connectivity for markets where those speeds are available. The Wednesday March 7th timeline doesn't sound like too much of a reach from our perspective and would certainly fit in with launch schedules for previous versions of the device. Even if Apple doesn't take the stage in San Francisco on that particular date, we can't imagine that iMore's estimate will be out by much. 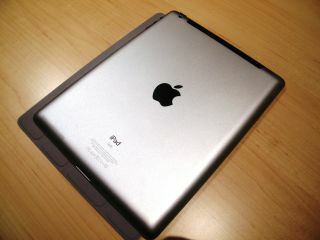 To catch up on all of the latest, check our iPad 3 rumours: What you need to know feature.